Tomorrow (21 November 2018) marks World Fisheries Day – a day meant to create awareness for our oceans and their precious resources. The Eastern Cape has the potential to be a leading player in this sector by supporting small scale fishing operations and securing our waters from foreign fishing vessels, but we need to ensure compliance with legislation. While Fisheries is a national competency the Eastern Cape MEC for Department of Economic Development, Environmental Affairs and Tourism, Oscar Mabuyane, must do more to petition the Minister for appropriate resources and support to combat illegal and over fishing along our coastline. I will write to the MEC to request that his support for stronger sanctions for abalone poaching and illegal fishing. The province’s coastline is being devastated by overfishing. Our waters are being raided by foreign fishing vessels who are plundering our stocks and decimating the local fish populations, which has a direct knock-on effect for the local industry. This ultimately translates in people in the province losing their jobs, their livelihoods. Operation Phakisa, meant to be a results-driven programme, is dead in the water and, with no political will to secure our coastlines from exploitative fishing practices, our fish stocks will continue to decline. The Department of Fisheries is riddled with corruption and incompetence, which is undermining the growth of a sector that contributes roughly R6-billion a year to the national economy. Corruption in the Department also feeds the poaching economy, in particular the poaching of abalone along our Eastern Cape coastline. It is also denying access to legitimate small-scale fishing operators. The DA’s policy on Natural Resources spells out clearly our view that all fish stocks in South African waters can, and should, be fished by South Africans. A DA-led government would not permit any form of foreign fishing in South African waters. 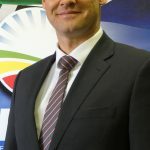 The DA believes we need to urgently re-establish dedicated ‘green’ courts in high poaching areas. A comprehensive re-evaluation of the skills of fisheries compliance officers (FCOs) and the imposition of regular lifestyle audits for these FCOs, will also assist in stopping corrupt practices and improve enforcement. What is needed most is more stringent sanctions for those who break the law. Too often we see abalone poachers getting a fine or being released shortly after arrest. Without serious jail time our ocean resources will continue to be plundered. It is time to secure our oceans and protect our fishing stocks so that this important economic sector can grow and create jobs.